For those of you who are interested in perfumery there is a wonderful book that Robbi and I have just read called "The Emperor of Scent" by Chandler Burr. It tells the story of Lucca Turin, a scientist with a passion to understand exactly how it is that we are able to smell the many thousands of things that are in our environment and in doing so develops a theory of smell and takes the reader on a journey into the secretive word of the perfumery industry. 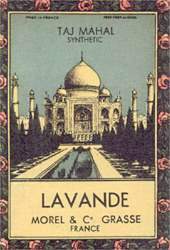 At one point in the book for his own pleasure Lucca writes a perfume guide which because of his prodigious talent for discerning, remembering and characterising aromas becomes a kind of bible of perfume. You need to be an enthusiast to enjoy this book, but if you are such a one, you will adore it. 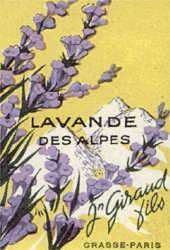 "Divinely named, a prototype of the cold and melancholy fragrance, this stunning creation is the counterpart--the brighter, fresher younger brother---of the mysterious L'heure Bleue ( Guerlan ). Apres l'Ondee evolves only slightly with time: its central white note, caressing and slightly venomous, like the odour of a peach stone, imposes itself immediately and retains its mystery forever." "One of the rare perfumes so named that do not betray the character of this uncompromising raw material, Vetiver is a temperament as much as it is a perfume, above all when it is worn by a woman. Stoic and discrete, Vetiver scorns luxury save that of its own proud solitude. At the same time distant and perfectly clear, it must be worn muted and must never allow itself to be sensed except at the instant of a kiss."